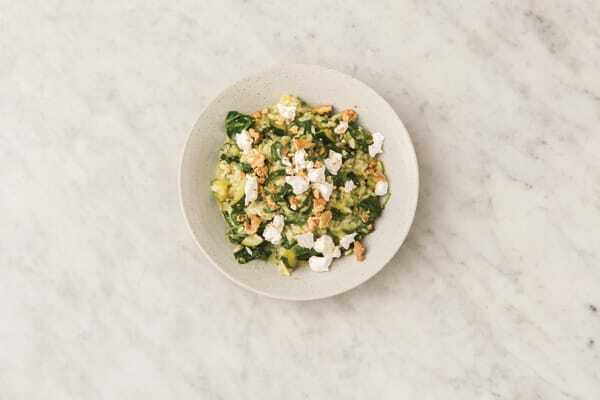 Goat cheese lends an amazing yet delicate flavour to this simple risotto that’s baked in the oven for minimum fuss and maximum flavour. Yum! Preheat the oven to 220°C/200°C fan-forced. Finely chop the brown onion. 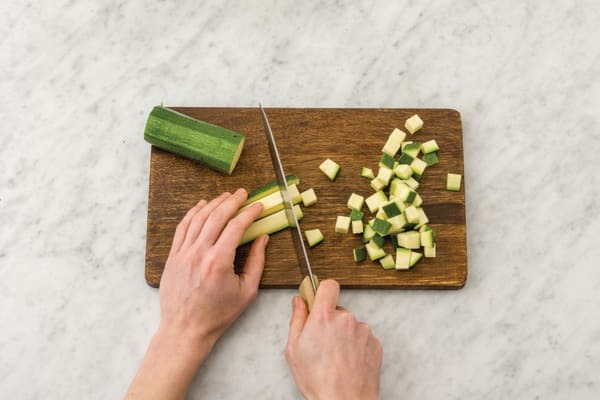 Cut the zucchini into 1cm chunks. Finely chop the garlic (or use a garlic press). In a medium frying pan, heat a drizzle of olive oil over a medium-high heat. 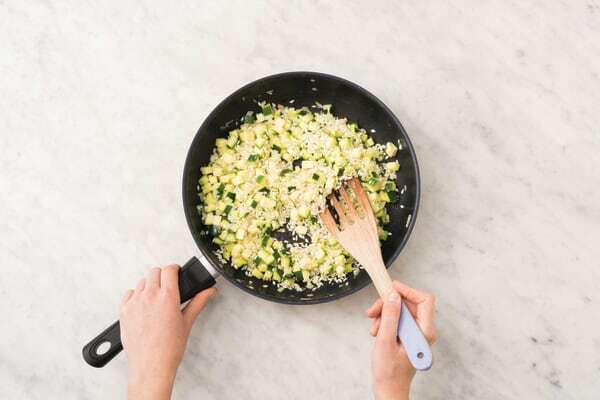 Add the brown onion and zucchini and cook, stirring, for 4-5 minutes or until tender. Add the garlic and cook for 1 minute or until fragrant. Add the arborio rice and cook, stirring, for 1 minute or until coated. Add the traditional pesto and crumble in the vegetable stock cubes. Slowly add the water and stir to dissolve the stock. Bring to the boil and then remove from the heat. Transfer the risotto into a medium baking dish and tightly cover with foil. 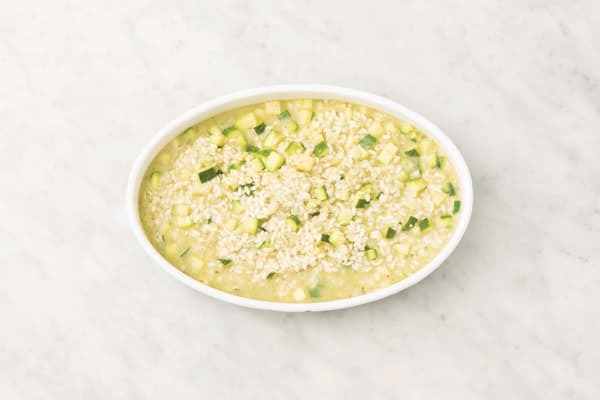 Bake the risotto for 24-28 minutes, or until the liquid has absorbed and the rice is ‘al dente’. Halfway through cooking, stir through a splash of water. 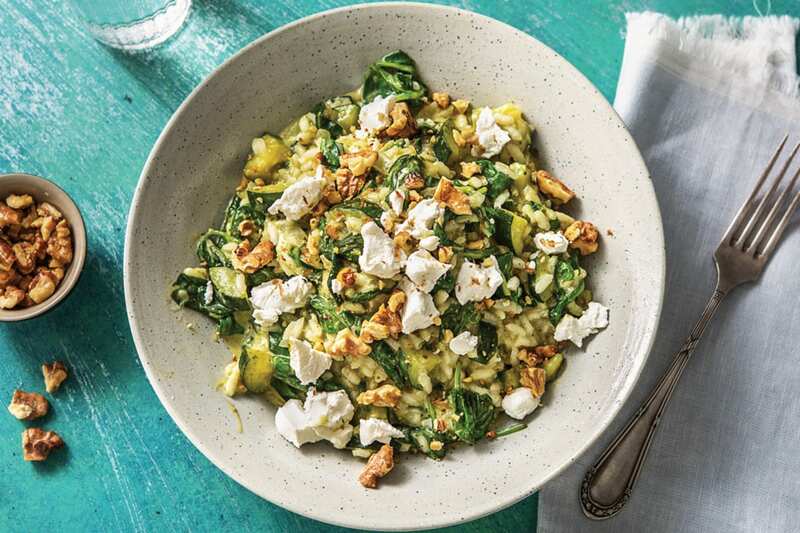 Once the rice is done, remove the dish from the oven and stir through the baby spinach leaves and 1/2 the goat cheese. Season to taste with a generous pinch of pepper. While the risotto is baking, roughly chop the walnuts. Wipe out the medium frying pan and return to a medium-high heat. 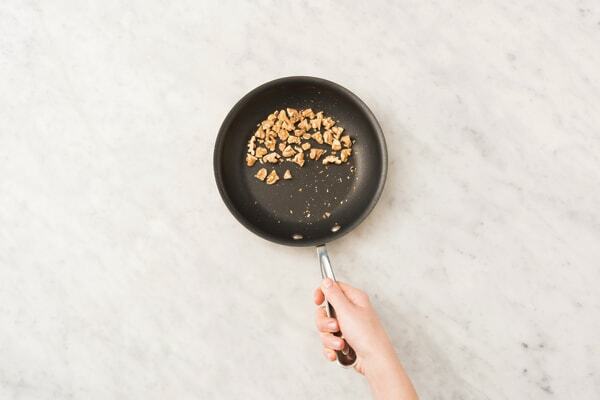 Add the walnuts and toast, tossing, for 3-4 minutes or until lightly browned and fragrant. Transfer to a plate. 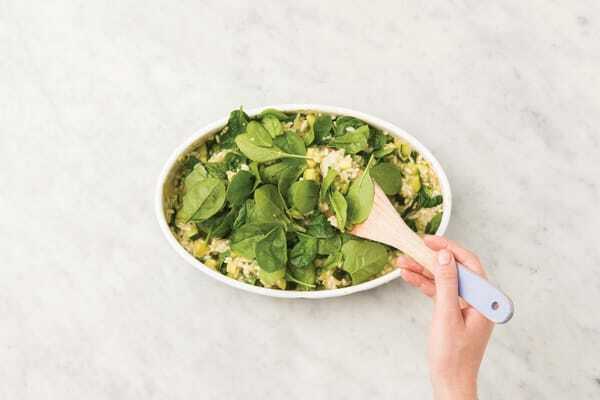 Divide the oven-baked pesto risotto between bowls. Sprinkle over the remaining goat cheese and the toasted walnuts.